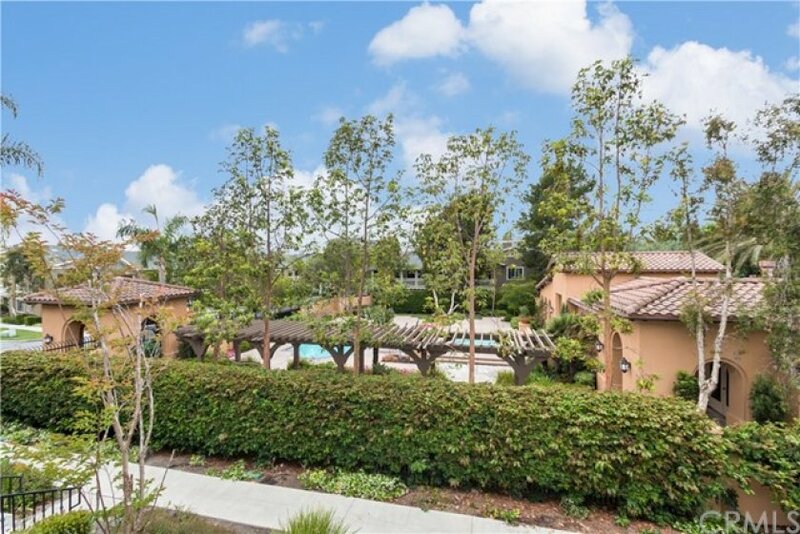 Take advantage of this fantastic opportunity to own a popular carriage home in the Berkshire neighborhood of Ladera Ranch with 2 bedrooms and 2 baths and wonderful community amenities all very close by. Charming front porch greets you in to the entryway w/coat closet and direct-access 1 car garage. Upstairs you will enjoy light and bright living areas with views over the community pool and parks from every window. Enjoy preparing meals in the cheery kitchen with Therma-Foil white cabinetry, ceramic tile floors, white tile counters and white appliances that include a 4-burner gas range, dishwasher, refrigerator and microwave. The family room is welcoming with cozy fireplace, neutral toned carpeting, lighted ceiling fan and speakers for surround sound. The dining room is ready for any occasion and offers a delightful setting for relaxing with family and sits beside a sliding glass door to a view balcony. Each bedroom is spacious, offering neutral toned carpeting and ceiling fans, while the bathrooms are fresh. The master bedroom makes a wonderful retreat with its own large, private balcony. 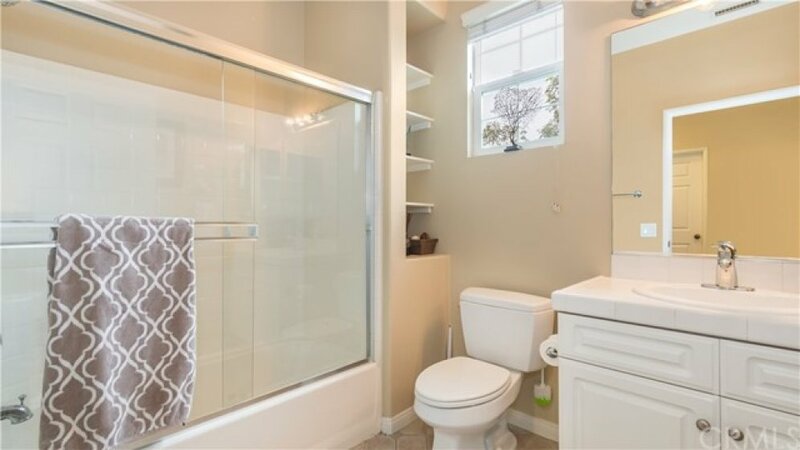 A laundry closet w/stackable washer and dryer and an additional assigned parking space round out this perfect home. Welcome!